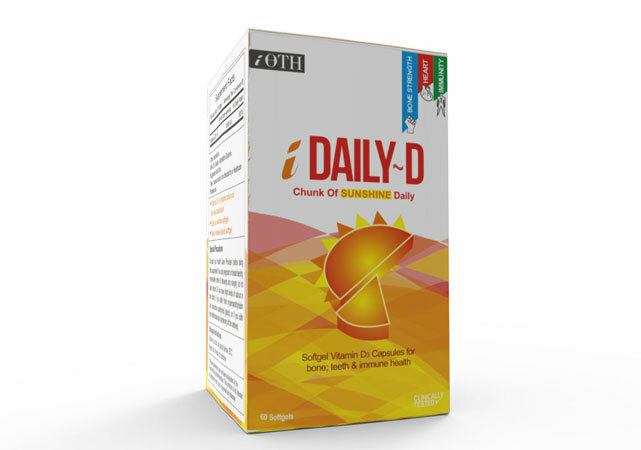 iDaily-D is best source of Vitamin D which is essential for healthy living. This sunshine vitamin's bioactive form now comes in an easy to swallow softgel form for all-round bone, dental and immune health. The ideal range of Vitamin D intake ranges between 400 to 1000 IU per day. However, an average adult consumes much less than 50% of the recommended daily dosage, falling well short of minimum requirements. iDaily-D high potency softgels are one of the best Vitamin D3 sources as these are especially formulated to cover up for this shortfall, by offering 1000 IU Vitamin D3 per serving. So, what are you waiting for? Grab your daily dose of pure and unadulterated form of Vitamin D today! Vitamin D deficiencies were fairly uncommon when men rolled their sleeves up to work in sunny fields. But, with the gradual shift of work from farms to office cabins, things changed! Heart Health: Intake of sufficient quantities of Vitamin D helps in reducing a man's risk of developing heart diseases. Testosterone Levels: Men who increase the intake of Vitamin D tend to have higher levels of testosterone compared to men who are deficient in the particular nutrient. Improved Mental Ability: Growing Age negatively affects the cognitive functioning of the brain in men; however increased Vitamin D consumption improves a man's brain function. Weight Loss: Regularly consuming recommended range of Vitamin D can help men reduce their abdominal weight, which in turn helps them prevent excessive weight gain. iOTH iDaily-D offers an extremely high nutritional value to men's health. Daily consumption of this easy to swallow softgel promotes calcium absorption in the gut and helps maintain adequate levels of calcium and phosphate to enable normal mineralization of bones. Therefore, aging adults require adequate amounts of Vitamin D to promote optimum calcium absorption for normal bone growth and maintenance of bone density. Vitamin D is also required for maintaining muscle strength. Taking prescribed dose of iDaily-D, the best Vitamin D3 supplement, can help aging adults slow losses in bone density, thereby decreasing incidents of bone fractures and falls in older people. As they say - 'excess of everything is bad', same is the case with Vitamin D.
Vitamin D is generally safe when taken by mouth in prescribed amounts. Most people do not experience any side effects with this vitamin, unless too much is taken. Vitamin D toxicity can lead to non-specific symptoms including anorexia, heart arrhythmias and polyuria. Additionally, it can also lead abnormally high blood calcium levels, resulting in nausea, confusion, constipation, irregular heart beat and even kidney stones. People suffering from severe kidney diseases can also suffer from "hardened arteries". It is almost impossible to gain excessive amounts of Vitamin D from direct sunlight. Also, taking prescribed amount of the best Vitamin D supplement, iDaily-D does not put you at a risk of Vitamin D overdose. It is only when you take higher doses of Vitamin D that you risk yourself of developing such symptoms. Vitamin D is fat soluble, which means you need to consume fats in order to absorb it. Foods rich in Vitamin D content include fatty fish, fish oils, beef liver, mushrooms, egg yolks and cheese. Also known as the sunshine vitamin, it is produced by the body when you expose your skin in the sun. But, what if you don't spend too much time in the sun or if your body has problems absorbing this vitamin, then what is the best source of Vitamin D for you? The answer is simple - a quality Vitamin D supplement can help fulfill the daily Vitamin D requirement of your body. Which is the best Vitamin D supplement? Offering instant luxury of everyday sunshine for promoting bone, dental and immune health, iOTH iDaily D is certainly the best Vitamin D supplement your money can buy. Which one is better Vitamin D2 or Vitamin D3? 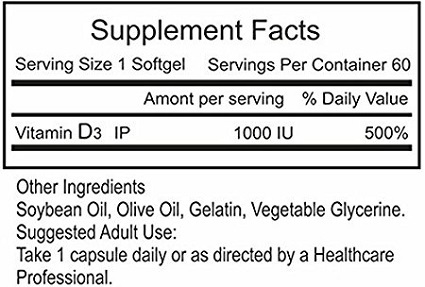 Both D2 and D3 are used in nutritional supplements. Vitamin D3 is the type most experts believe is more important to humans as compared to Vitamin D2. There is a plethora of logical reasons advocating the use of D3 over D2 as a dietary supplement – when the UV light from the sun strikes the skin, humans synthesize Vitamin D3 this makes it the natural form of Vitamin. Also, Vitamin D3 is the most potent form of Vitamin D that offers far more benefits as compared to Vitamin D2. Vitamin D plays a crucial role in keeping the bones healthy and is required for regulating calcium and phosphorous levels in body. In addition, Vitamin D also plays a crucial role in maintaining normal bone structure. What is the suggested use of Vitamin D? For best results, a single softgel of iOTH iDaily D dietary supplement should be taken along with your breakfast or lunch daily or as directed by your health care provider. What are the medical precautions of iDaily D? 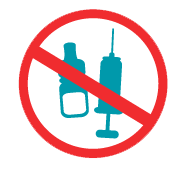 You are required to consult your health care professional before taking Daily-D if you are pregnant or breast feeding; immediately before and following any surgery. Also, do not consume this Vitamin D supplement if you already have high levels of calcium in blood; if you are suffering from hyperparathyroidism or atherosclerosis. How does Vitamin D interact with other medicines? Vitamin D supplements are capable of interacting with many other types of medicines. For instance, steroids that are prescribed to reduce inflammation tend to reduce calcium absorption and also cause impairment of Vitamin D metabolism. Such effects lead to loss of bones, which eventually increases the risk of development of osteoporosis. Other medicines, such as orlistat, the weight-loss drug and cholestyramine, the cholesterol lowering drug, can also reduce absorption of Vitamin D. Therefore, it is advisable that you consult your health care provider before starting Vitamin D supplementation. 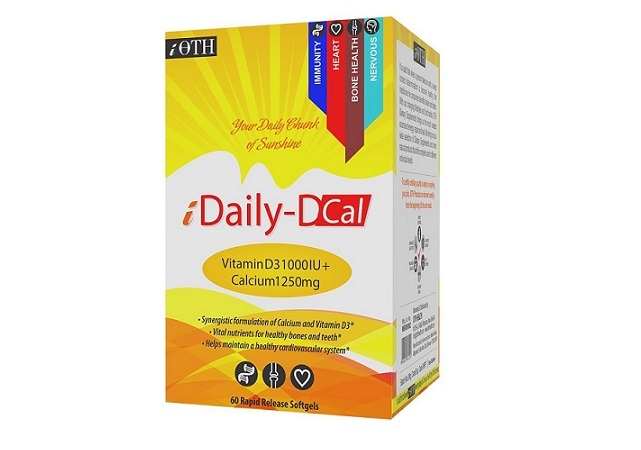 iOTH iDaily-D-Cal offers 1000 IU of the sunshine vitamin's bio-active form in combination with 1250 mg of calcium for bones, heart & immune health. iDaily-D offers 2000 IUs of the sunshine vitamin's bio-active form in an easy to swallow softgel for bones, teeth & immune health. Next generation supplement for unprecedented levels of health. 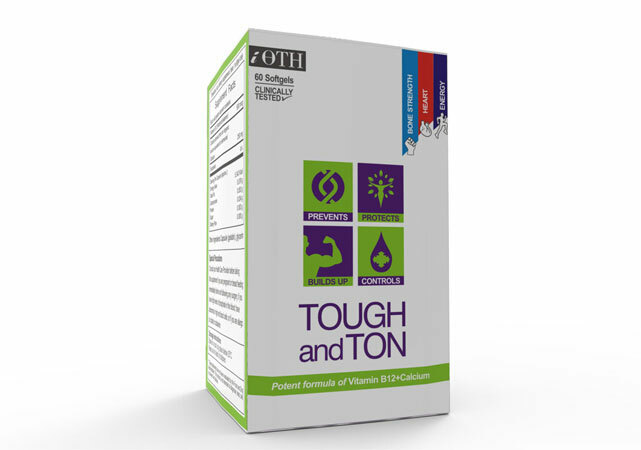 Advanced bio-available form of Vitamin B12 with calcium for nervous, bone & immune health.